Pritchetts Law LLP is a niche, independent, commercial law firm specialising primarily in the provision of legal and consultancy advice in respect of general commercial, IP and IT services and data protection & privacy law. Provide client-focused, clear and practical advice. Ensure that our clients receive a personal experience. Provide a cost-effective commercial service. Assist our clients to navigate the information law maze and understand what their rights and responsibilities are. Provide comprehensive, but succinct and understandable “plain English” advice in an area that we are passionate about. We understand that, in particular, complying with data protection and privacy law doesn’t have obvious direct returns for business. You will therefore need advice at reasonable – and often fixed – rates. Pritchetts Law LLP advises a wide range of private, public and charitable sector clients. We use our industry-leading experience to deliver focused advice in the manner that best suits your business. Please see Our Services for further information about how we might be able to help you. Alternatively, get in touch with us to discuss your requirements using the details set out at Contact Us. 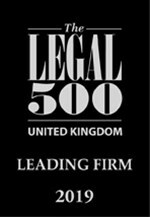 Pritchetts Law LLP is a Limited Liability Partnership registered in England and Wales (company no. OC413975) and authorised and regulated by the Solicitors Regulation Authority (SRA no. 647155). “Partner” refers to a member of Pritchetts Law LLP. A list of members can be inspected at The Moat, 1a Rosery Close, Westbury-on-Trym, Bristol, BS9 3HF, and at our other offices.